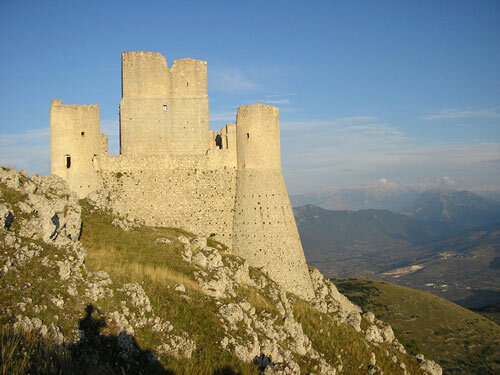 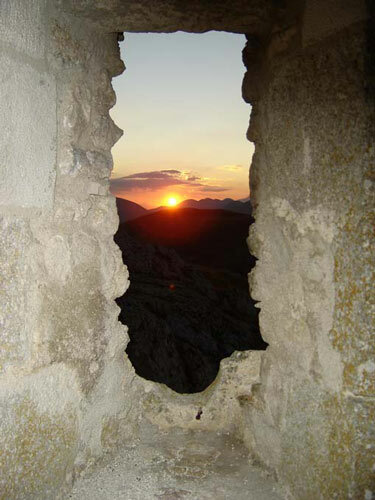 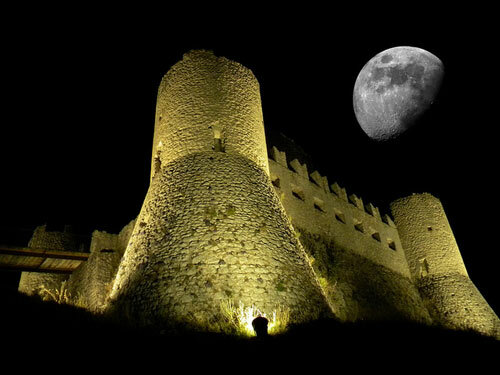 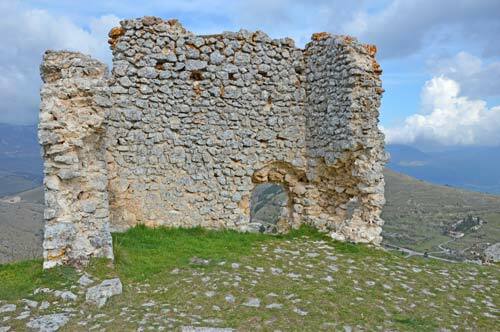 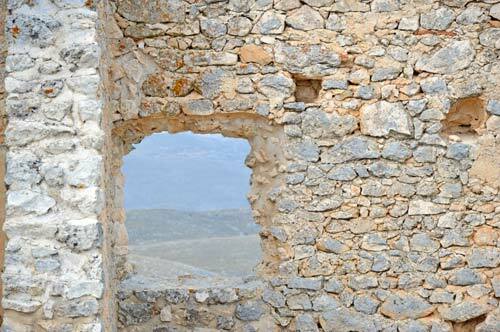 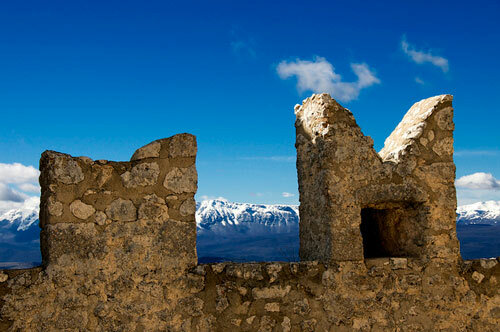 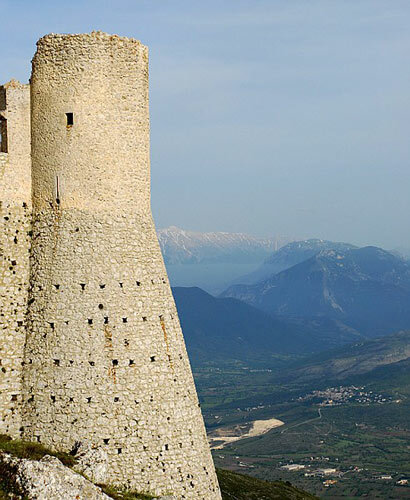 Rocca Calascio is a fortress located in Abruzzo, in the province of L’ Aquila, inside the National Park of Gran Sasso and Monti della Laga, at an altitude of 1.460 meters above sea level. 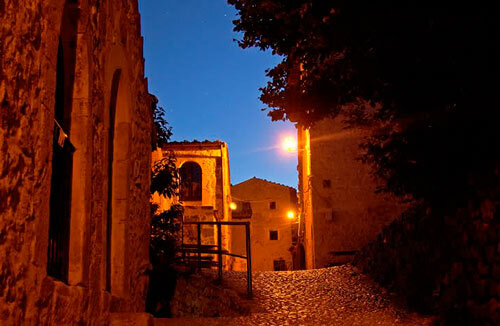 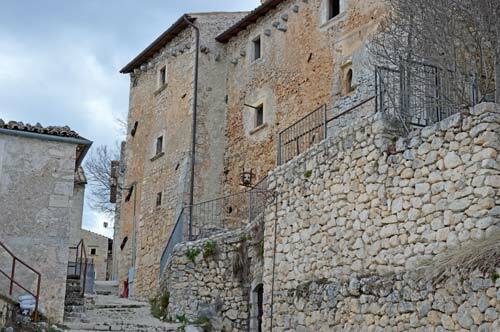 The town is well known for the presence of the fortress, one of the highest of Italy, and for the ancient village below, uninhabited until a few years ago and now refurbished with the creation of a small hotel with restaurant. 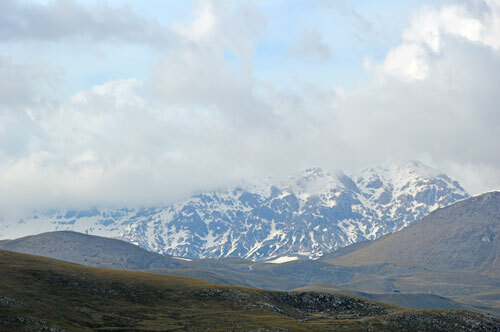 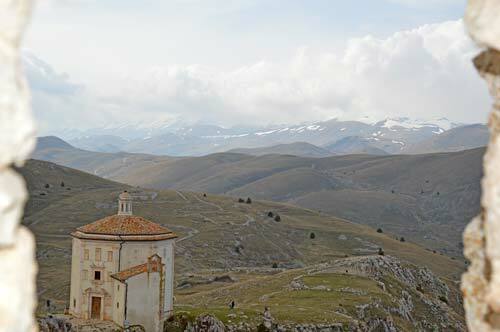 Of course, thanks to its wonderful location, from the village you can admire sublime views. 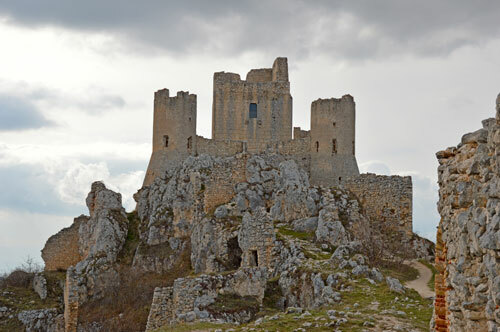 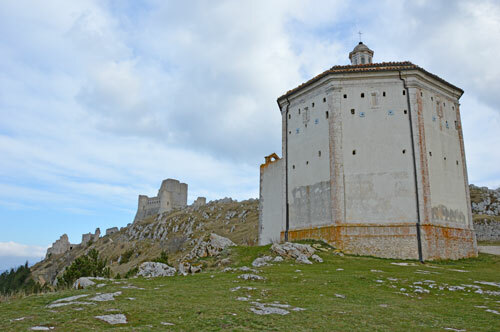 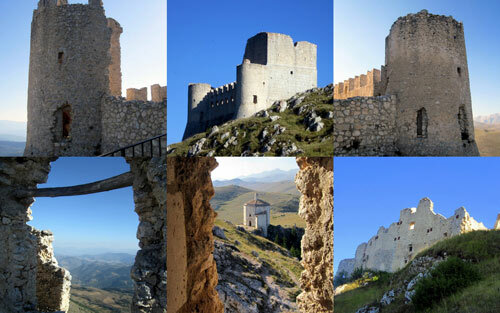 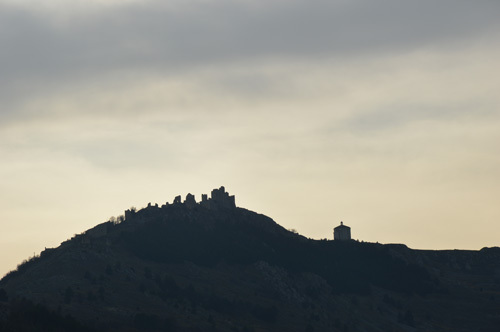 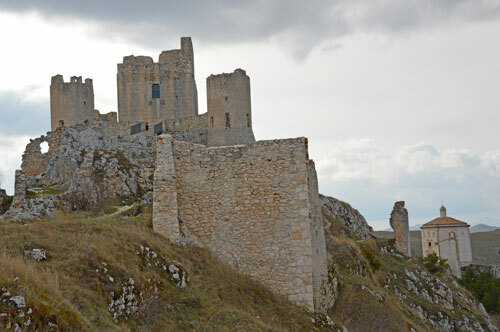 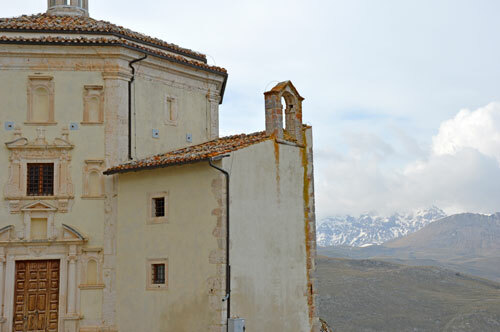 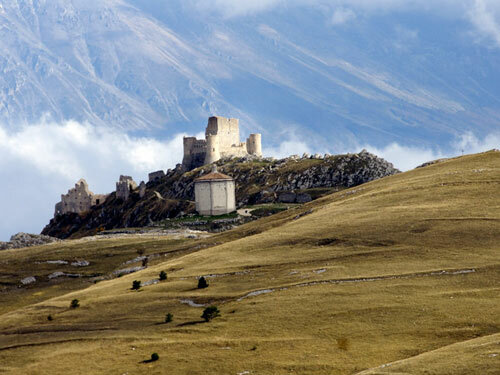 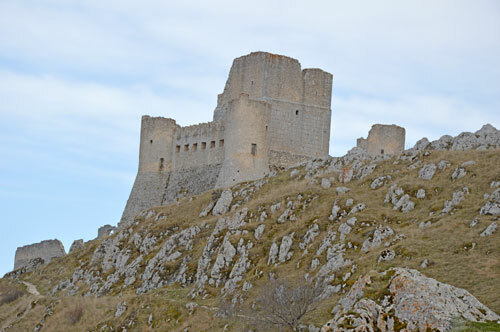 The castle of Rocca Calascio was the natural set of many successful movies, including the compelling “Lady Hawke”, “The Name of the Rose” and “Padre Pio”. 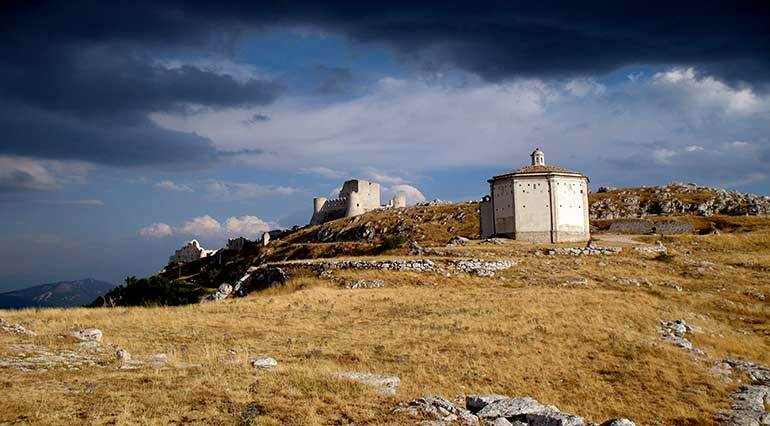 Near the castle there is the church of Santa Maria della Pietà, a small temple built between the XVI and the XVII century on the site where, according to legend, the local people got the better of a band of brigands. 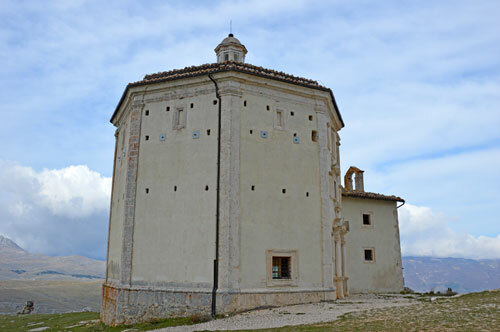 The interior space is organized by a system of Tuscan pilasters and covered by a dome with eight segments, configure in severe sixteenth forms to one of the external facades, characterized by a general incoherence, leans against a simple part of the building used as a sacristy. 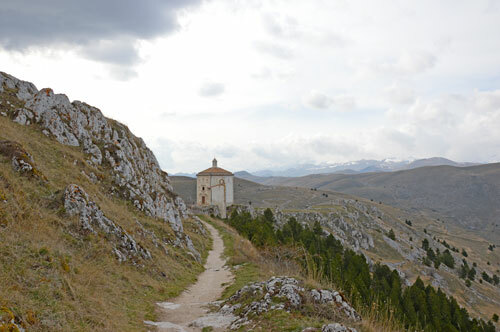 The church, now used as a simple oratory, is the destination of loyal and devoted. 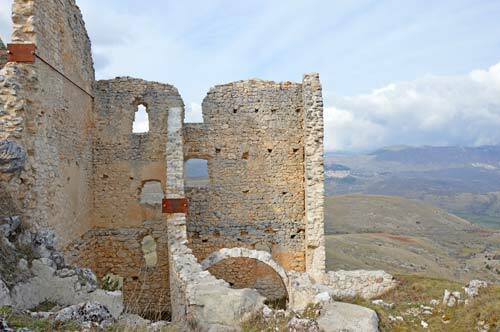 The castle was damaged by the earthquake of 1703, was subject to a number of conservative restorations between 1986 and 1989 aimed at restoring the structure and to allow the architectural salvage – functional, and is now available free of charge to visitors. 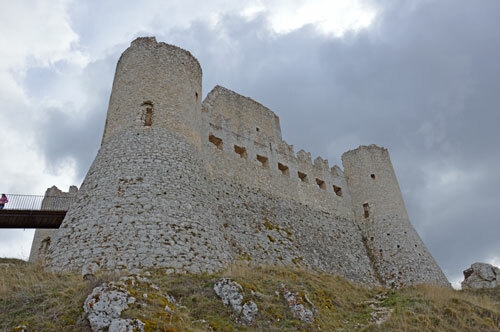 The structure, made entirely of white stone square blocks, consists of a central male, probably pre-existing, a cobblestone walls with battlements and four corner towers with a circular base strongly escarpments. 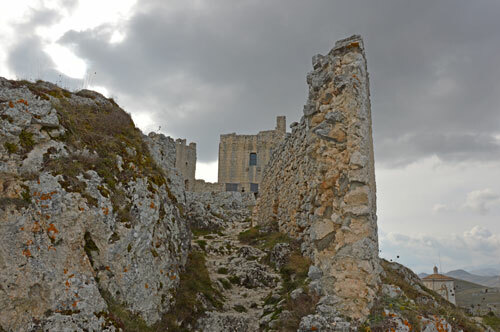 Access is through an opening on the east side at about five feet from the floor, which is accessed via a wooden ramp, originally retractable, resting on stone corbels. 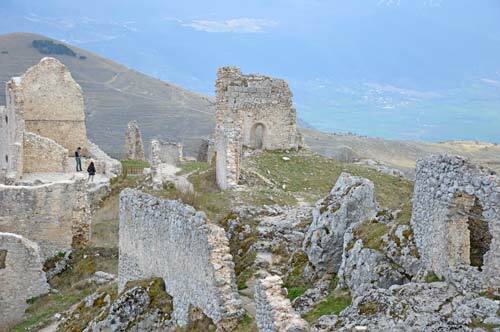 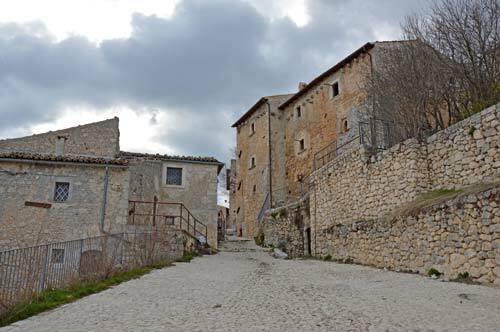 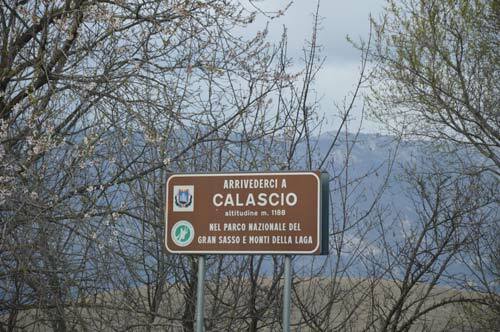 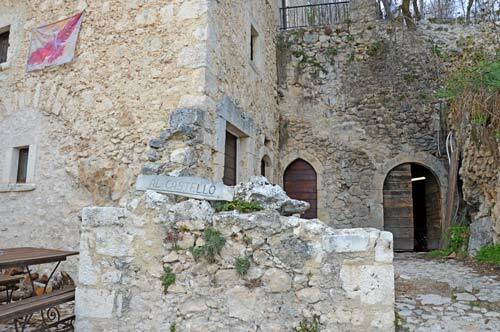 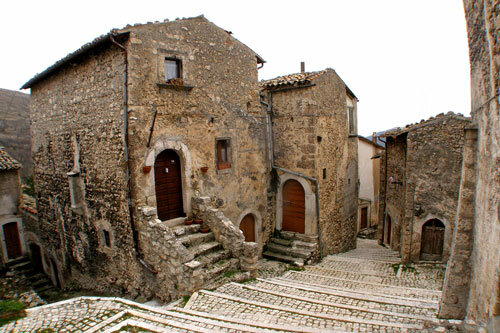 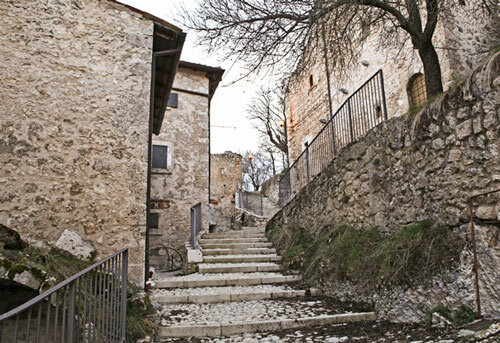 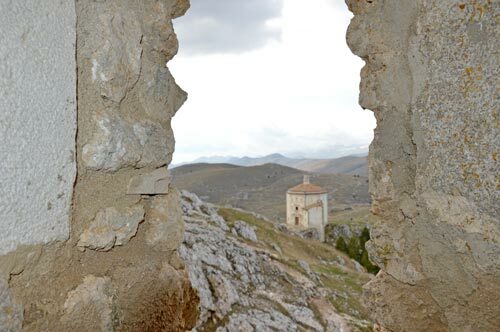 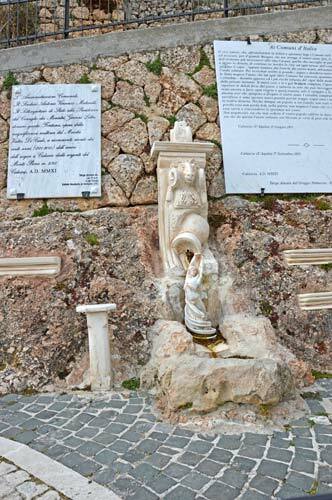 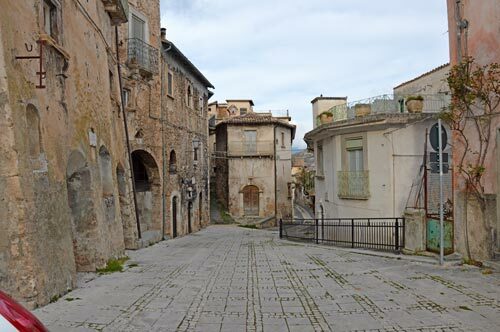 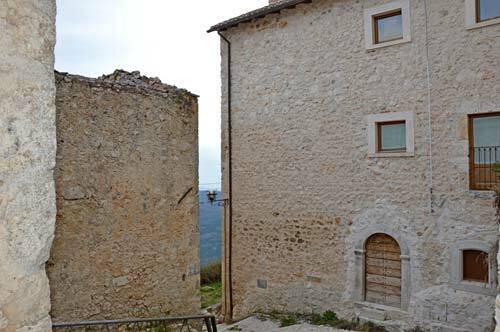 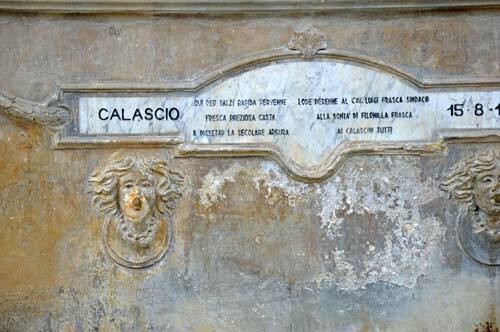 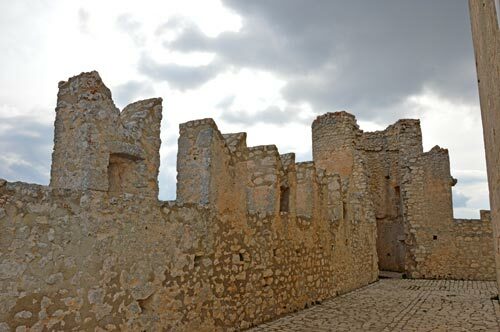 The village, located in the south – west of the castle, along the path from Santo Stefano di Sassanio brings to the town of Calascio, comprises a single body fortified with it. 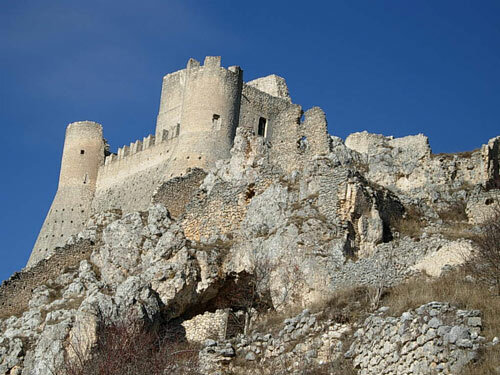 It can be divided into two part, one original and one adjacent to the castle located further downstream and newer. 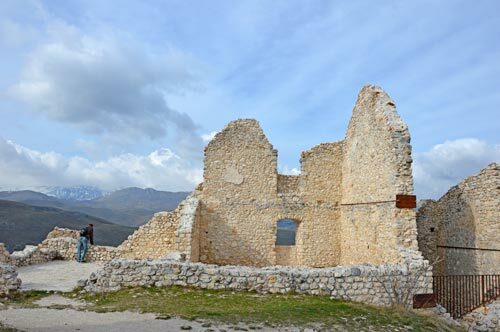 The upper part was abandoned following the destruction caused by the earthquake of 1703 and is now in the form of ruins, and the lower part was instead inhabited up to the very first post-war years and was subjected to numerous conservative restorations. 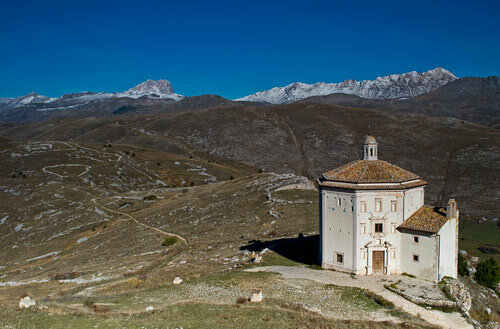 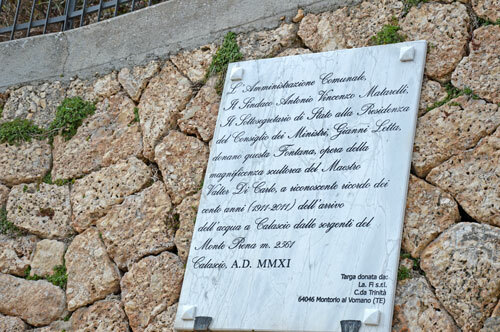 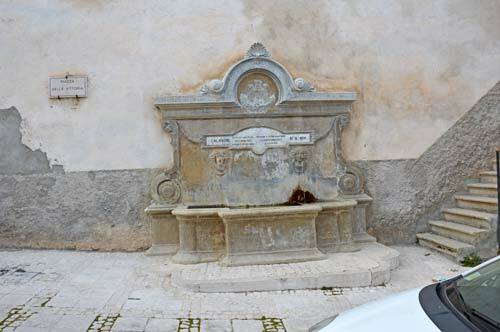 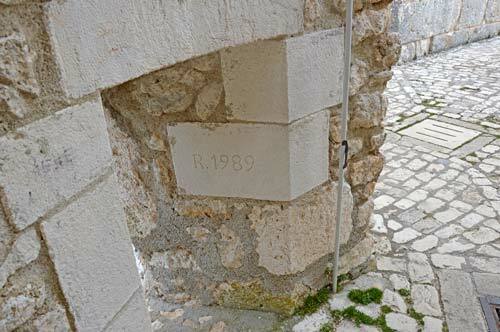 In addition to public forms of restoration, was made interventions also from the Abruzzo mountains lovers who have contributed for the renovation works.